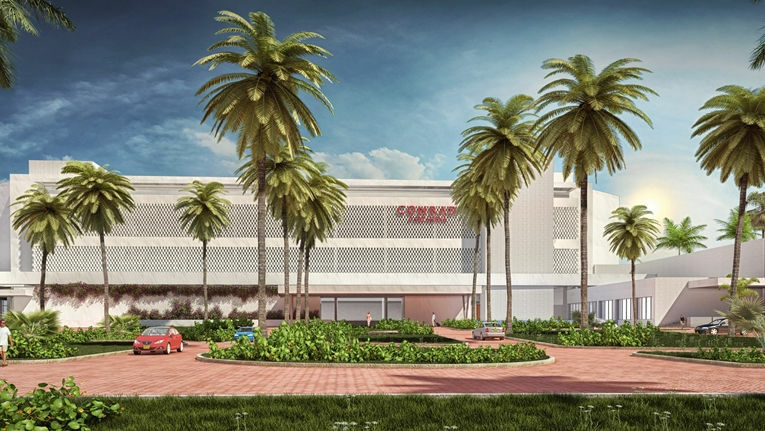 Last week, Conrad Hotels and Resorts announced the opening of Conrad Cartagena – the brand’s first property in Colombia and third in Latin America. The oceanfront hotel is conveniently located along the coastline of the Caribbean Sea and 20 minutes away from the Rafael Nunez International Airport. 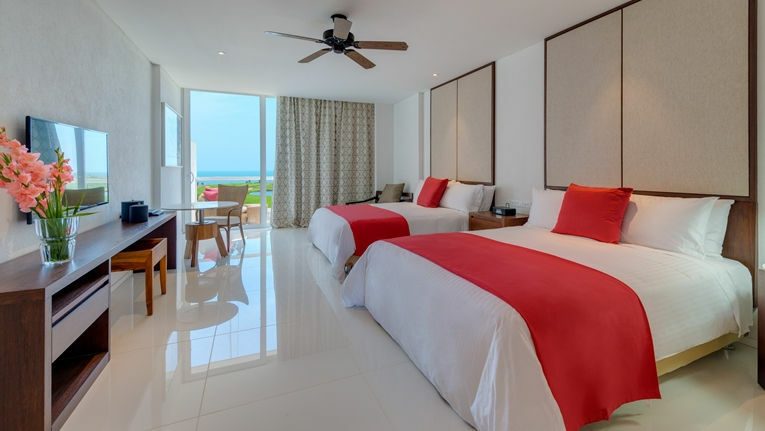 The Conrad Cartagena opens with 109 furnished guestrooms and suites with spacious bathroom with separate tub and shower and either clear views of the Caribbean Sea or the expertly designed, Jack Nicklaus golf course. The property is expected to add 159 more rooms in early 2018. The hotel houses seven food and beverage outlets including the signature Biblioteka restaurant, Son y Ron lobby bar, vibrant Adesso Tu, outdoor Karibana Beach Club and the cozy, low-key Sea Salt Grill. It also offers more than 24,000-square-feet of flexible event space and 500-square-foot meetings rooms. Other amenities and services at the new luxury resort include a Jack Nicklaus designed 18-hole Tournament Players Club (TPC) Golf Course, signature Conrad 1/3/5 destination itineraries and five swimming pools spanning more than 24,000 square feet of pristine space. 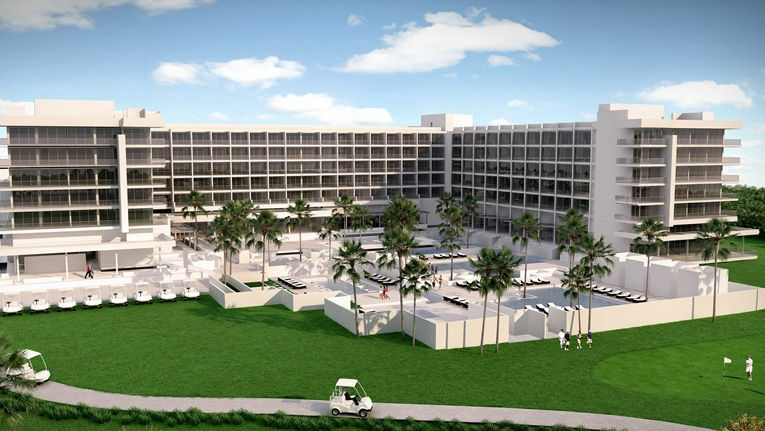 Conrad is expected to add a 9,600-square-foot spa alongside the Karibana Beach Club, Kids Club and Kosher kitchen by early 2018. Tagged Caribbean Sea, Cartagena, Colombia, Conrad Cartagena, Conrad Hotels & Resorts, Conrad Hotels and Resorts. Bookmark the permalink.